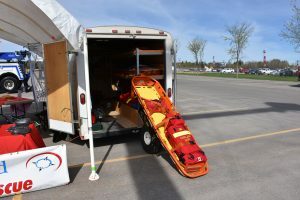 Several volunteers from Parkland SAR came out to Stony Plain’s Emergency Preparedness Day this past weekend at Heritage Park. 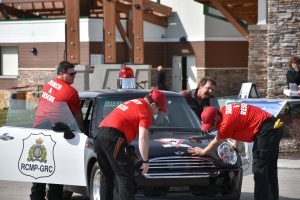 Members joined several first responders and emergency personnel for a fun filled day with plenty to see and do. 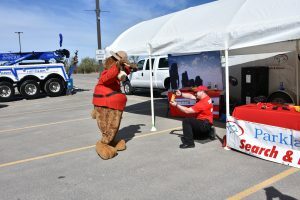 From sitting in a police cruiser and going in a bucket ride with the Fortis crew, to watching a vehicle extrication and police dog demonstration, there was something for everyone. 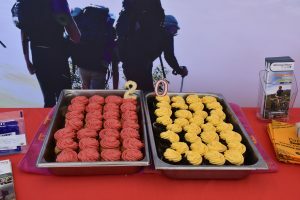 And it was also a great time to raise awareness of Parkland SAR in the community and celebrate 20 years with delicious cupcakes! 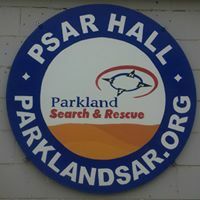 Members are encouraged to wear Parkland SAR uniform or at least PSAR-crested clothing (e.g., T-shirt, Golf shirt, or Fleece). To be eligible to participate in the AGM, Annual membership fee of $20 is due. Accepted nominations and expressions of interest are solicited. 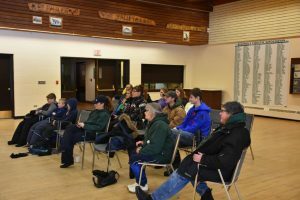 This past Saturday, members of PSAR travelled out to Keephills, AB, to talk to the Junior Forest Wardens. 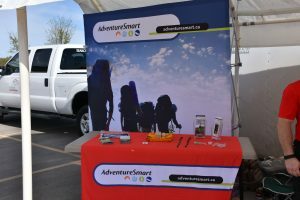 The members presented ‘Surviving Outside’, discussed the importance of a trip plan, and what PSAR does. 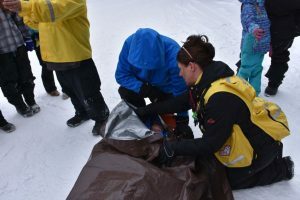 We showed the JFW some of the gear we carry in our 24 h packs, our mobile equipment trailer, how to do a hypothermia wrap, and some elements of making a fire. 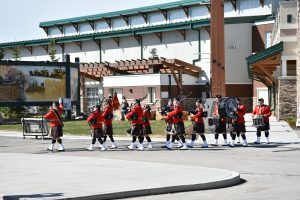 It was a great day, despite the cool temperatures, with enthusiastic participation and questions from children and parents alike. 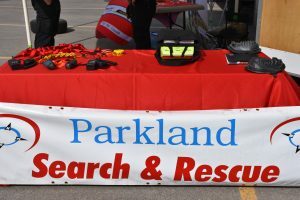 Parkland Search and Rescue was present at the Community Volunteer Fair at the TLC on September 21. 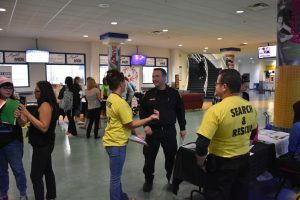 PSAR members Zoe Pardo and Trevor Adams, answered questions from the public about the organization, training, and membership opportunities. 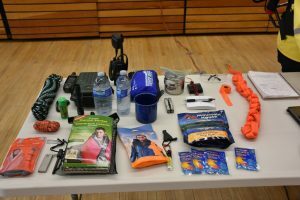 On August 10, Parkland SAR held a SAR-B-Q and fire-starting exercise for members and their families at the Chickakoo Recreation Area. Garry from Wholesale Sports attended the event and donated three merchandise gift cards to the event. These cards were presented via random draw for those in attendance. 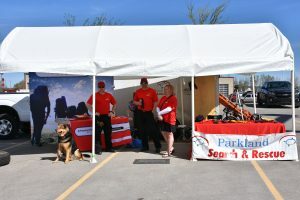 In appreciation of the donation, Parkland SAR presented Garry and Ken from Wholesale Sports each with a “Friends of Parkland SAR” hat and certificate. 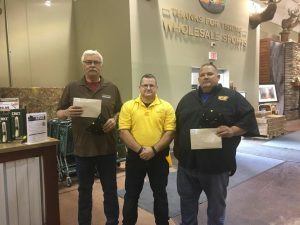 Thank you to Garry, Ken, and Wholesale Sports!